Large white flowers with a narrow, brownish-yellow throat and leaves with decorative brown flecks makes this a lovely variety. Under trees and shrubs, well-drained rock gardens, perennial beds and woodland settings. 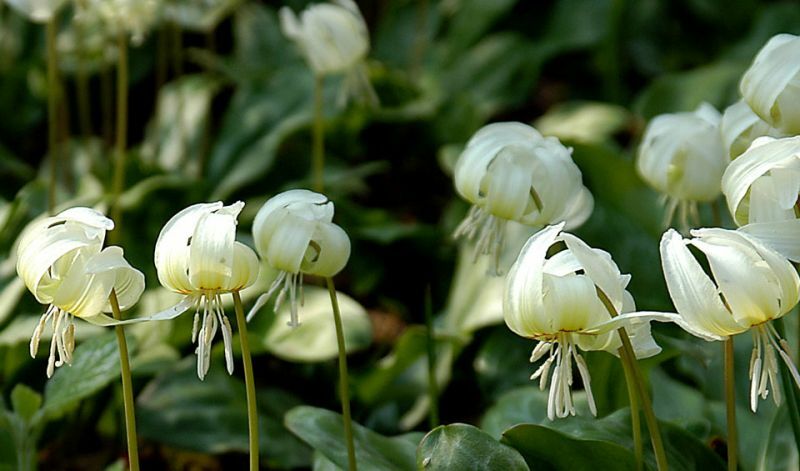 'White Beauty' is the only variety available. Native to forests and meadows in temperate regions of the Northern hemisphere.